The Om Shawl can be worn in a myriad of ways to mirror all of the different facets of your personality, the changing seasons, and the different parts of your day! 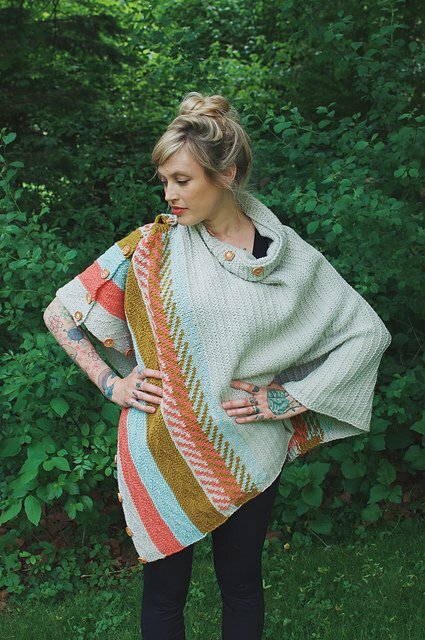 Drape it around your back and over your arms as a cozy stole, button up the top sides and pull it over your head as a poncho, button half of the side buttons and wrap it twice around your neck like a cowl letting the corners drape down like a triangle shawl. Lay it over your lap for some extra warmth on a cool morning as you sip tea. Button all of the side buttons and use it as a poncho or a nursing cowl. The options are endless! 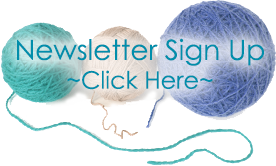 This knits up quick, and is a fun and inspiring knit with the changing colors and textures!